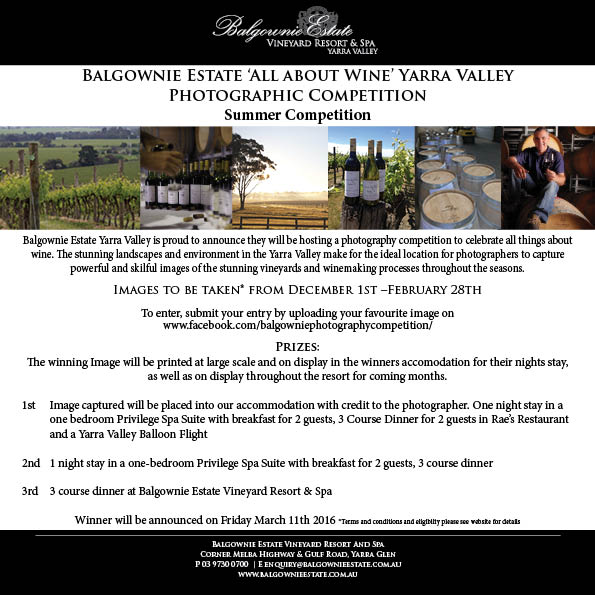 Balgownie Estate Photographic Summer Competition, 'All About Wine' in the Yarra Valley. All Photographers are welcome to enter, no entry fee applies. Fantastic prizes to be won, to view prizes please see facebook page or the attached flyer. We look forward to seeing some amazing photography.